Will the latest cash grant help you? In the last couple of years the government has looked at many ways to overcome what’s known as our ‘leaky buildings’ problem – basically too much heat escaping from homes, wasting money on fuel bills let alone the impact it has on the environment. What should be stressed is that renewable technology is only a money saver if you don’t have mains gas. If you do, installing a new A-rated condensing boiler will usually be the most cost effective solution. But for the estimated four million homes – many in rural areas that currently rely on oil electricity or liquefied petroleum gas (LPG) – the cost of powering their homes in recent years has risen sharply and alternative sources need to be considered. ? ?Ground source heat pumps are prohibitively expensive, but air source heat pumps and solar hot water heating (which can supply up 60% of hot water for a home from just the energy of the sun) are good alternatives and will save money. 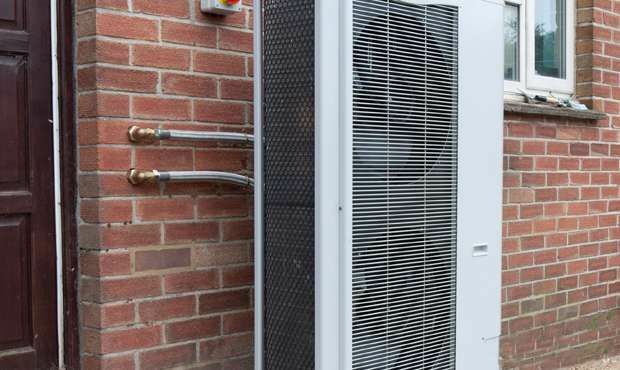 Air Source Heat Pump – RHPP grant = £1300. Solar hot water heating – RHPP grant = £600? Are you considering renewable heating? Jennifer Newton will be speaking on Renewable Technology and the funding available at the National Home Improvement Show 27th-29th September and will be available on the expert advice stand for further questions.